If you've been following my IG stories, then you've seen a little bit of the behind the scenes making of this here Broccoli Dress. Or, as I've decided to call it, my Frock-coli. See what I did there? Frock and Broc, y'all. It's what you're wearin' fer dinner. I picked up the fabric last fall while at Ikea. I'm in love with their fabric because I love all things big and bold (and cheap. Y'all, soooo cheap!). Whenever I see a print that I like, I always wish it were 10 times bigger. So when I spotted this giant broccoli print (and, like, who looks at broccoli and says, "that would make a great textile!" Someone with a brilliant mind, that's who. ), I knew I had to have it...and make a dress from it! I decided to take the ole Frock-coli out for a spin to the bookstore this afternoon. The baristas were diggin' it...but one couple I walked by literally stopped mid-convo, went silent and whispered, "What.Was.That." Apparently the Frock-coli is ahead of it's time. Am I the only one who thinks this dress needs some melted cheese? I gotta hankerin' for some steamed broc and queso. When it comes to sewing, y'all know know I'm a creature of habit. I've been sewing dresses for myself for some time now...and I feel this fit and flair is the most flattering on me. I've tried slightly different styles (heavy on the slightly. What can I say, that 50's silhouette is my fave) and I always come back to the following: fitted bodice, big ole waistband (or big ole belt. I have one student who is fascinated by my big plastic belts...I think he watches a lot of WWE and associates them with prize fighting belts. Which, after some days of teaching art, I feel like I've earned one!) and a giant circle skirt. 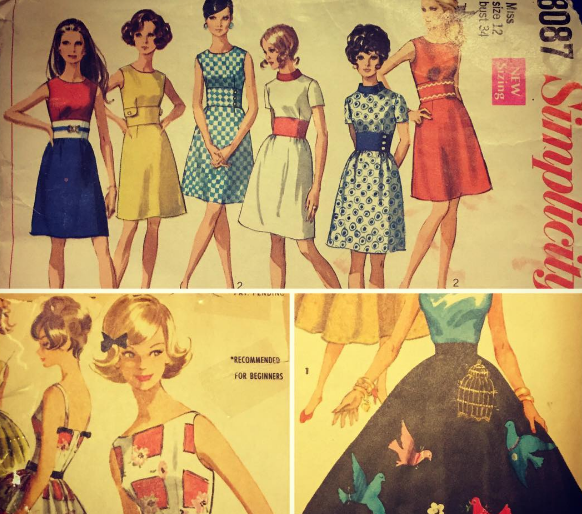 When I tell you I have a ton of vintage patterns, believe me, I have a ton. And I almost aways use some sort of combo like this. In other news, how cute is that bird applique?! 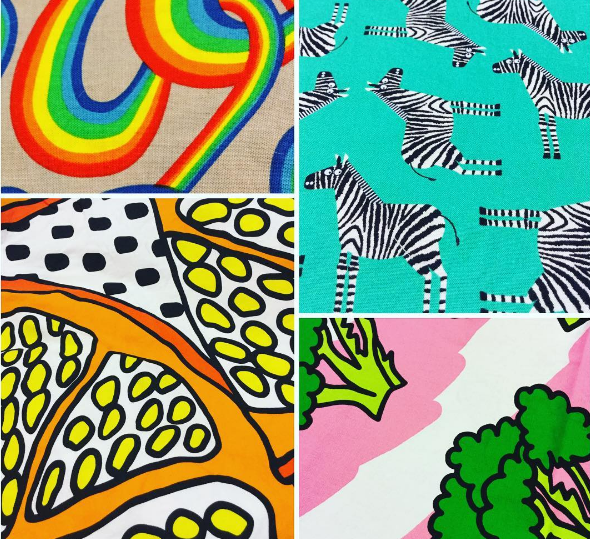 Before I picked the broc fabric to stitch, I had these other contenders on my cutting table. I get a lotta questions on where I get my fabric. Aside from Ikea, I LOVE fabric.com. They have a search bar where I look up things like "primary colors", "art supplies", "art teacher" and all sorts of fun motifs pop up. I also love shopping at Craft South as they have the most unique and hip prints. But back to the dress. I thought the black waistband all by itself was a little stark...so I balanced it out with the black bows at the shoulder. My new favorite thing to do while sewing is listen to podcasts. I just finished S-Town from the creators of Serial. I enjoyed it but it was a sad and complex story. I am currently listening to Missing Richard Simmons and LOVING it. I grew up watching Simmons on television, on his infomercials and on Letterman, just thinking he was this loud and crazy dude. But there is this other side to him: he is a carrying, loving and giving individual...with a lot of pain and sadness in his life. I highly recommend it. I don't know what is happening with that face but here is the side-ish view of my dress. So, first week of summer vacay dress, done! I've got a lot more on my To Do list...and currently I am accomplishing very little of it. I'm allowing myself a temporary reprieve because - it's summer! - but after today, I really gotta start whittling away at my summer agenda. Spotlight on Today in Nashville! I hope y'all had a wonderfully relaxing weekend! I spent mine trying to snap out of a funky spell that left me weak and tired. I did get to see my best buddy Mallory and hit the flea market, celebrate the birthday of my sweet friend Jennifer and hit the movies and dinner with the hubs and friends (Bay Watch: it was pretty good; Alien: no bueno). Oh, and I also started on a broccoli dress! So, now that I think about it, I can see why I'm a little tired...too much fun for this gal! Speaking of fun, I got to spend my Friday with Kelly and Carol over on Today in Nashville! I'm not exaggerating when I say it was a good time, it was like a fun party over there at the Channel 4 studio. You can catch the full four minute clip of my segment here. Y'all might remember that I was on Talk of the Town the previous week which was also a ton of fun. One thing I have learned from doing these super short clips: these hosts are PROS. I mean, I knew that going in...but, what I'm trying to say is, they only have moments to meet you beforehand, chat with you, ask you a few questions to get your "story" and be able to share it in such a way that it seems we are old friends. And it truly felt like we were. These ladies were so fun, funny and the scene in the studio was like that of a party. I snapped a couple of photos to give you a little behind the scenes tour. This is a show that airs daily and is an hour long. It's a talk show that features folks around town. There's a kitchen for the cooking segments, an area that looks like a little living room for relaxed interviews, two demo areas, which is where I was recorded, and a stage made to look like the Ryman Auditorium! Country singer Tara Thompson performed a couple of songs live which was so super fun to see. I cannot imagine singing or playing an instrument live and she nailed it as did her bandmates! I really had the best time on the set. Thank you to those of you who caught the clip and sent me sweet texts and Facebook messages. When you are in front of the camera, you really have NO IDEA how you are sounding or looking...in fact, I'm still afraid to watch the clip! What was funny is that afterward, I went grocery shopping and a woman ran up to me at the grocery and said, "I just saw you on T.V.! You did a good job!" I thought that was very sweet...and everyone else around us was trying to figure out who I just who I was. 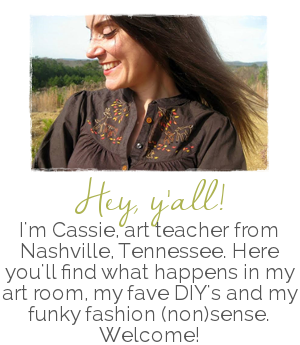 Just a crazy art teacher, y'all! I recently shared with y'all the 3-Dimensional portion of our art show...today I thought I'd showcase the 2-Dimensional side. But before I have to do that, I must give a HUGE virtual high five and hug to Molly, Donna, Lori, Terri, Paula, Camilla and the rest of the crew for hanging EVERYTHING that you see in these photos. Without moms like these, there would not be an art show. For them, my young artists and I are forever thankful! Now, let's take a tour of the show! Almost every project you see here and in the video can be found on my blog our my YouTube channel. Feel free to use in your art teacherin' world. A shout out is always appreciated. Kindergarten displays. I love how fun and funny their artwork is. It always makes me smile to see what they create. All these projects can be found right here on my blog. Just use the search bar. 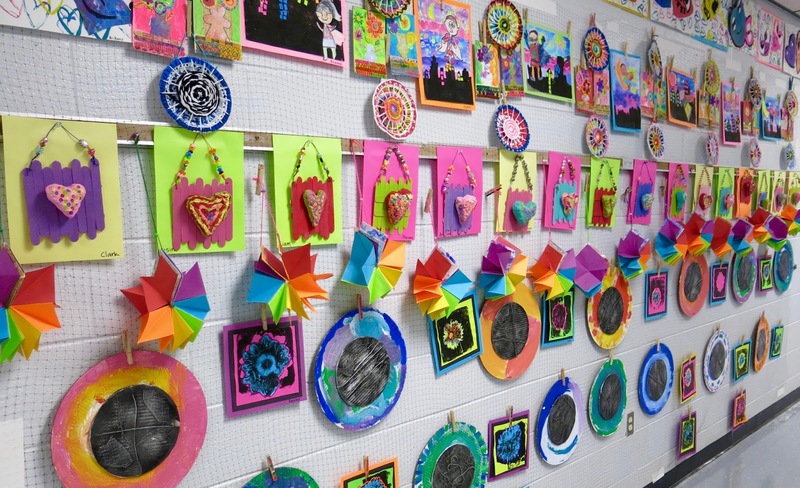 Do you hang everything that the kids have created all year? Yes. Everything. My room is very big (it used to be the school library) so storage is not an issue...staying organized, however, is. It's just not my nature to be a Lady of Organization. And I'm cool with that...but it is a pain when it's art show preppin' time! "Where did I put Mrs. So-in-So's classes art?!" Yeah. That may happen multiple times during art show season. 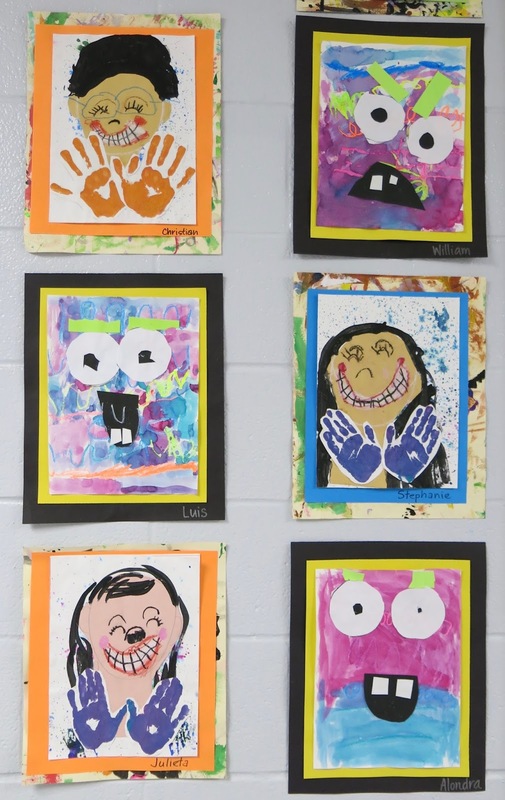 Kindergarten selfies and line monsters. We've used this method for the last three years and there is no going back, we love it! 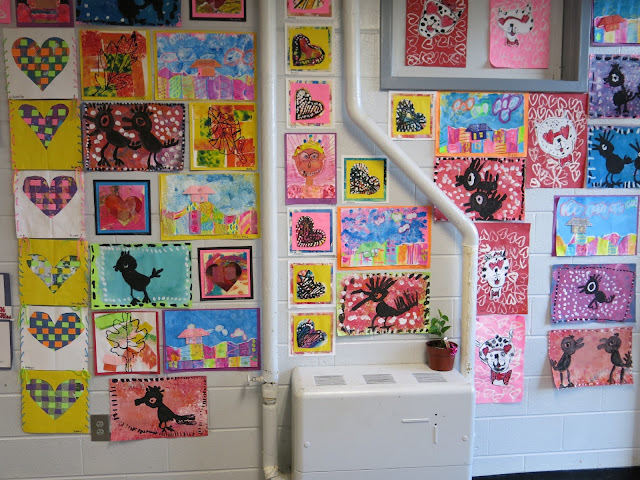 And the artwork actually stays up...which, if you are in a building with cinder blocks, you know that is no easy feat. With this much art, we have to display it "salon style" with art from floor to ceiling! How do you get volunteers? The moms I have are AMAZING! In fact, my mom-in-charge this year doesn't even have a child at my school anymore! She's just so stinkin' incredible and good at what she does, she came back for more. Honestly, just reaching out to the room moms and requesting that they contact other parents is the best way if you've never used volunteers before. My mom helpers came in nearly every day for three weeks solid to make this magic happen. Not only did they hang artwork but they also framed, matted and did the thousand other small tasks that goes into the making of an art show this big. First grade work...the Bebo birds are a fave of mine. 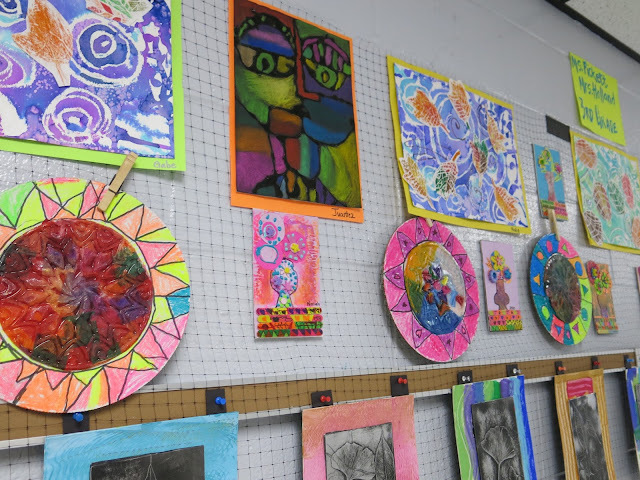 Is your art show a fundraiser? I did two art shows this year. In the winter, I used Artome which is a fundraiser and I LOVED that experience as it was super simple and raised a good amount for our art program. Our spring show is not usually a fundraiser although we have taken donations for the local animal and homeless shelters before, one time raising $1200! 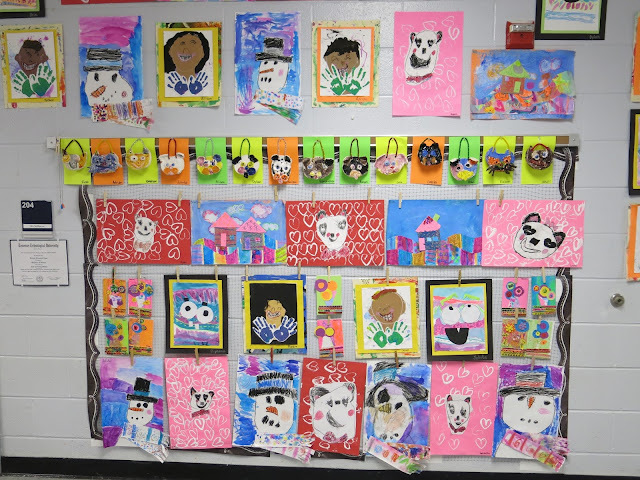 The first grade had so much work! They flew through their projects this year. My mom helpers were ninjas at hanging artwork in hard-to-hang places, y'all. 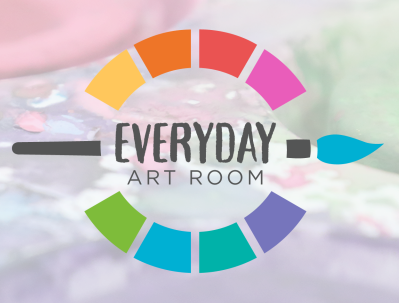 How do you get people to come to your art show? The art show at my school was established before I got there. It's a tradition at my school...one that I try to make bigger and better every year. 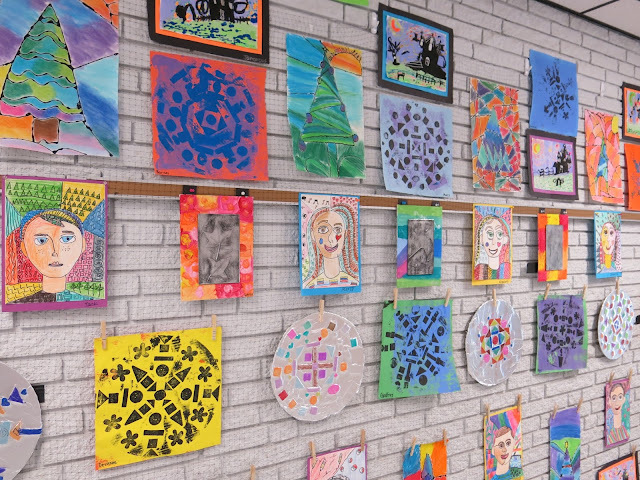 Not only is it an art show, but it is also an ice cream social with free ice cream served up by our fourth graders in the school cafeteria. Often times we'll also have a book fair on the same night to bring in even more folks. We always have a huge turnout. Second grade created some of my favorite pieces this year. 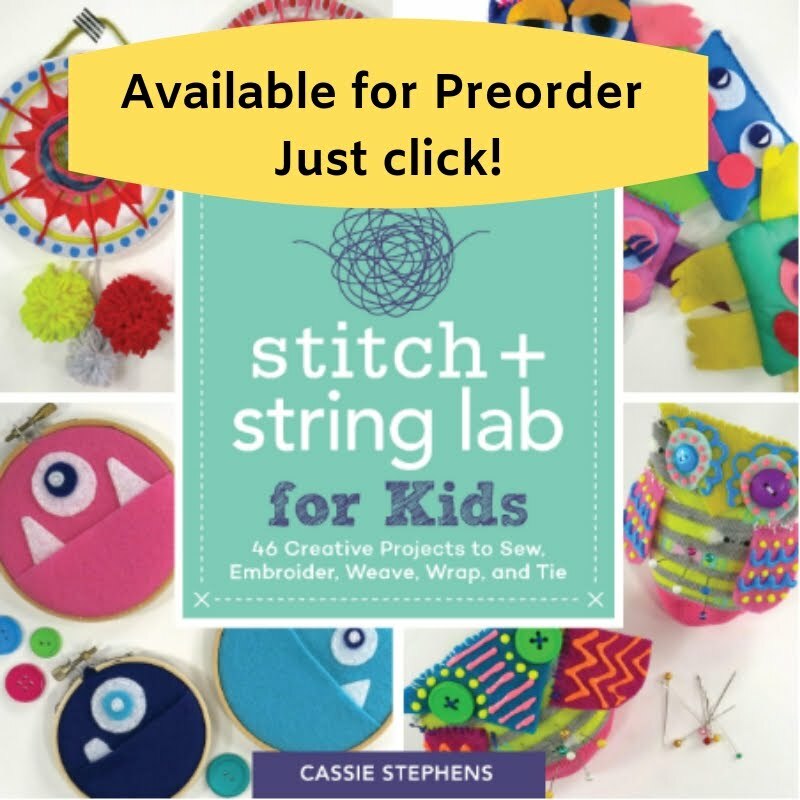 I am loving the weavings, the hearts and the rainbow books! How do you manage your time to get everything done? I'm the worst time manager, y'all. Knowing this, I try to start early. After winter break, I try to get myself into art show mode by sticking around after school, framing pieces and gathering up my thoughts on what our theme will be. After spring break, we dive in to clay with that theme. 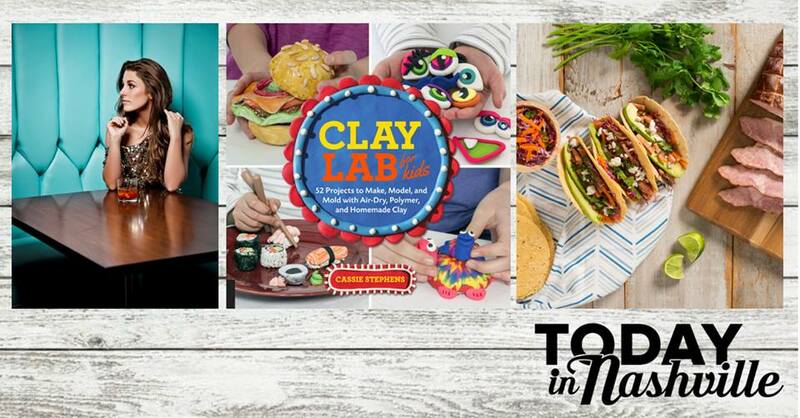 Once clay is complete in March, April becomes the crunch month for the show. Why do you hang up everything from everyone? 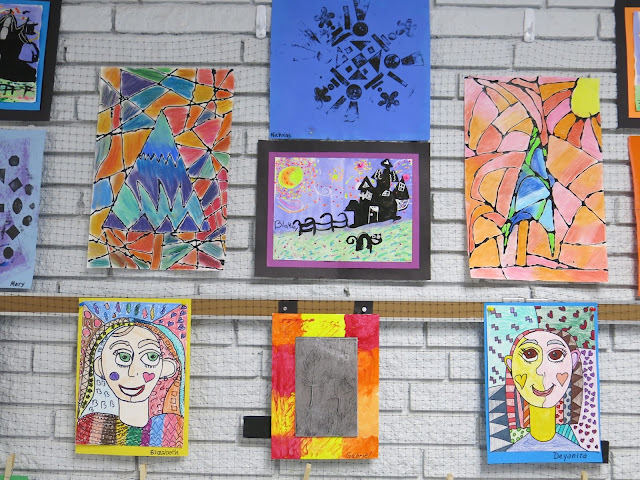 We do a couple of other art shows in the community that showcases a handful of kiddos. This is a great self-esteem booster...for that small amount of kids. 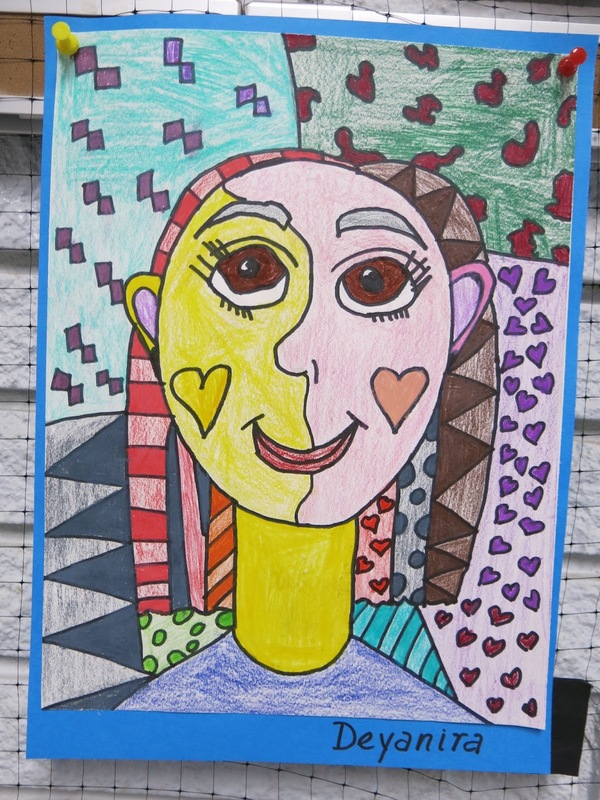 I always worry about the other kids who don't have artwork featured. I was never a kid who got picked for such things...and it always left me with a sour taste in my mouth. I carry that with me as an adult. I never want a child to feel like their creative work is not good enough. 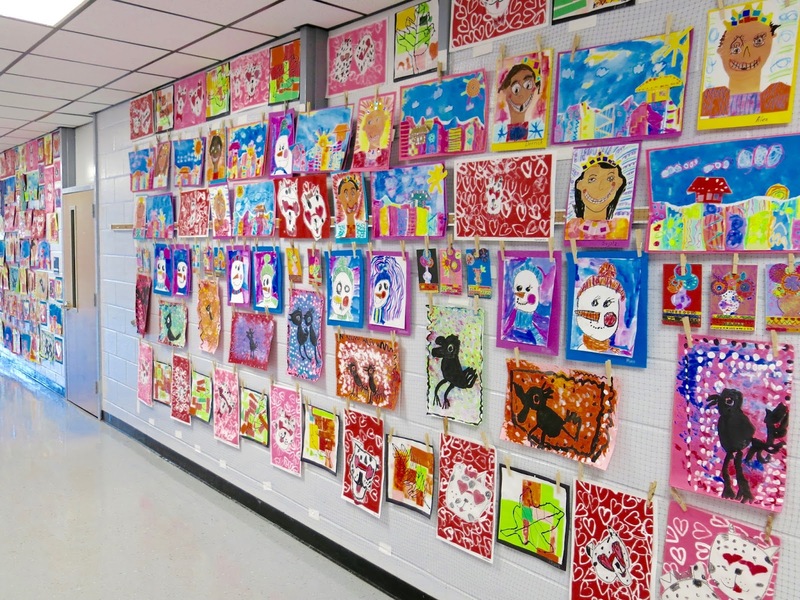 I want to celebrate all of the kids and all of their efforts...which is why I do my art shows like this. It's an INSANE amount of work. I'm not even gonna lie: I work on Sundays and put in many 12 hour days. But, in the end, it's so worth it. I love having displays in this big bank of windows! Do you repeat your projects or do new ones each year? Honestly, I like a challenge and I like change. 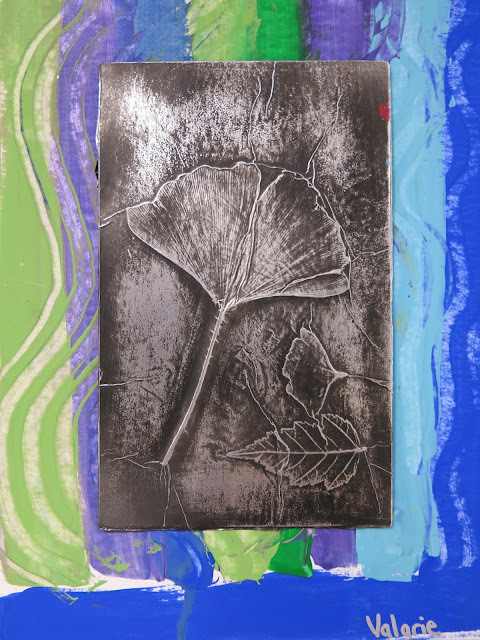 I may repeat a process, like the marker prints for those floating leaves you see below, but I rarely repeat a project completely. You learn something each time you teach a lesson...what worked, what didn't, what can be improved upon, added or taken away. 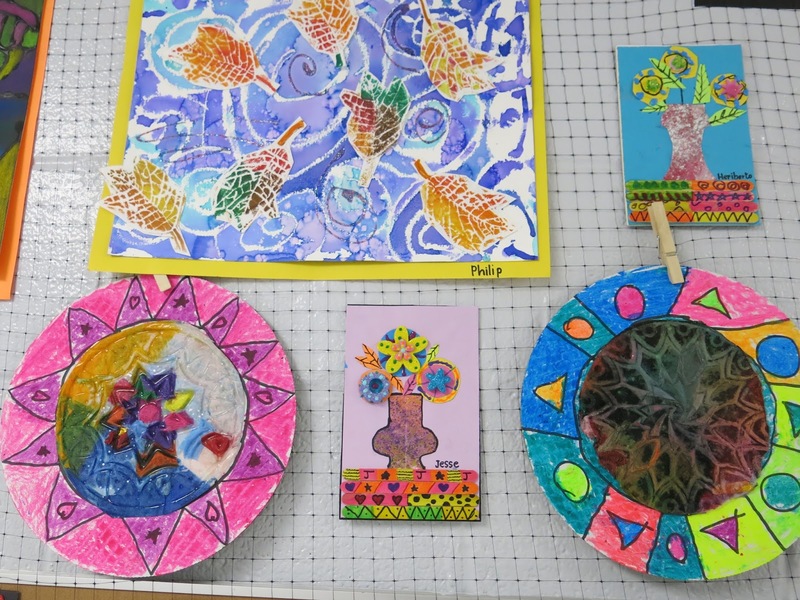 I also love learning new ideas and methods from other art teachers and I get excited to share them with my students. So, no. I don't usually repeat projects which means much more work for me but it does keep things interesting and the art shows every changing. Who takes the artwork down? So parents hang it up right outside the classroom teacher's doors. I do that so the kids can easily find their work. This also makes taken the art down a lot easier. 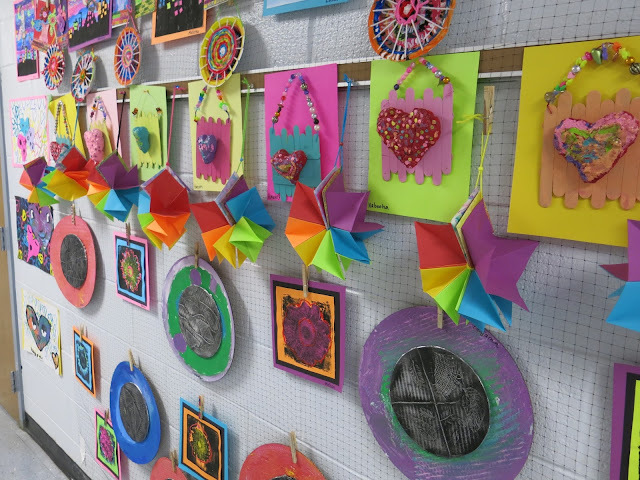 A few days after the art show, the teachers take down the artwork during our field day and various other activity days that seem to fill the end of the school year. How do you insure the artwork gets home safely? The fabulous assistants at my school create a paper portfolios for each child in our school. They start right after spring break and fold large sheets of bulletin board paper in half and staple the edge. Many teachers have the kids decorate their portfolios while they take their work down. I love how dedicated the teachers and assistants are to making sure the kids' work gets home safely. 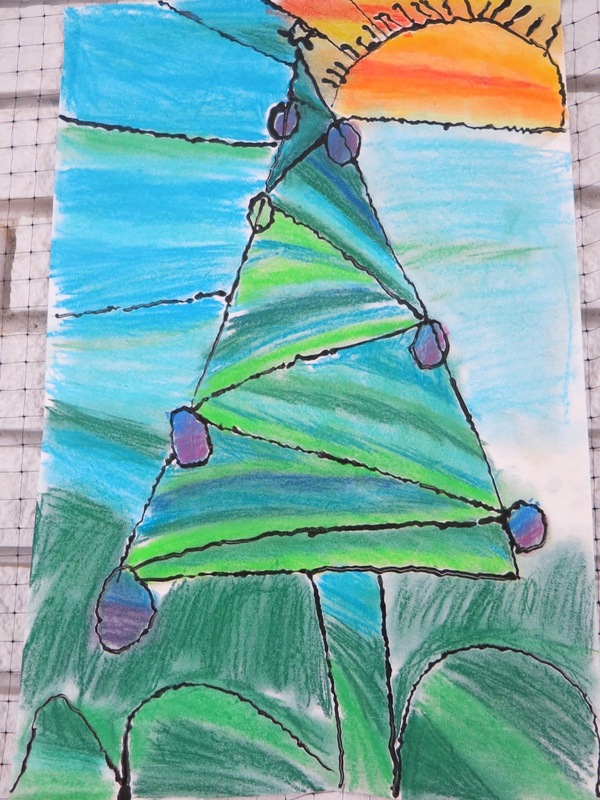 I tried several new techniques with my third graders this year and they really rocked it. 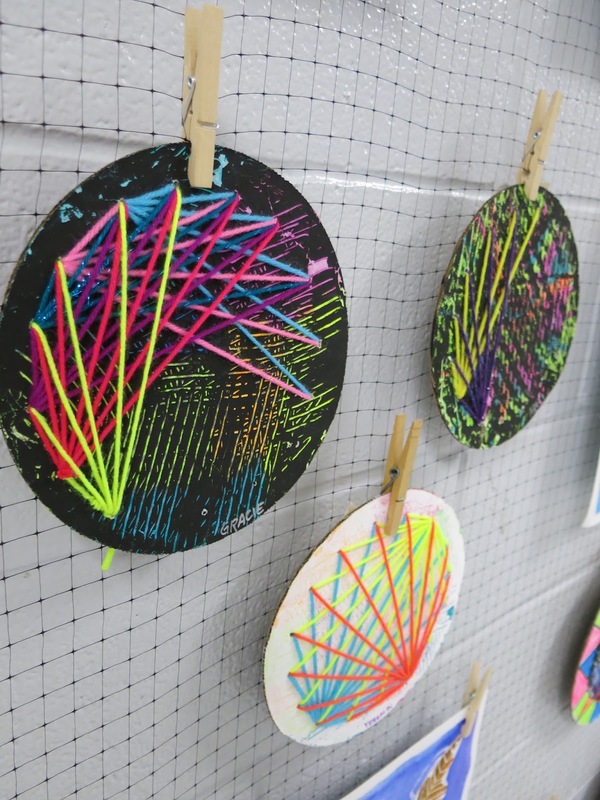 String art was something I'd only done with my fourth graders previously. This year, I did it with third grade and they loved it. 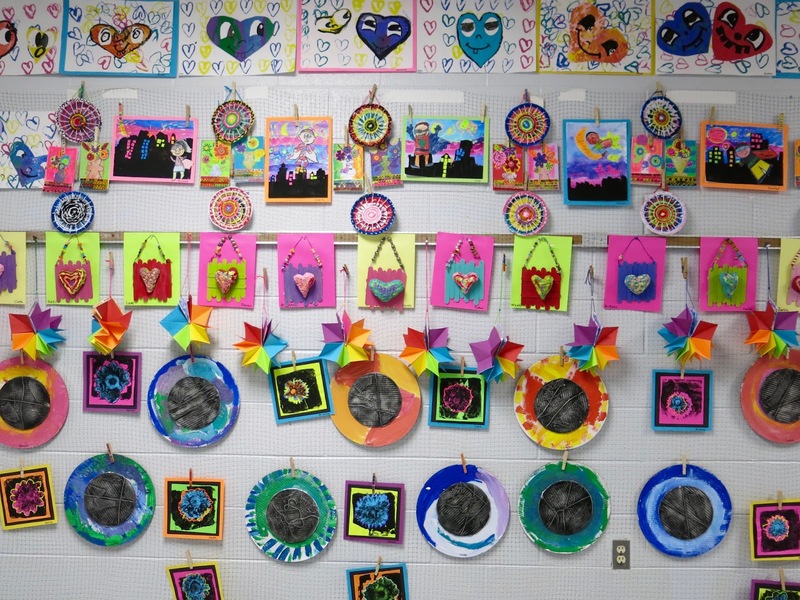 Don't the kids get upset that they have to wait all year to take their artwork home? Because we've always done end of the year art shows, the kids know that they have to wait to take their work home. 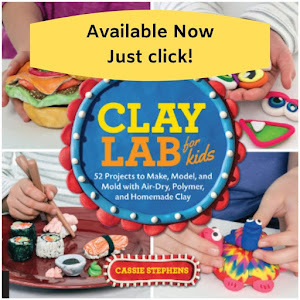 One thing the kids are always excited to take home are their clay projects. That's why I wait until after spring to do those projects: so the kids won't have to wait as long to take them home! It also makes storing those bigger pieces a lot easier knowing that I only have to find a place for them for about a month...not longer. 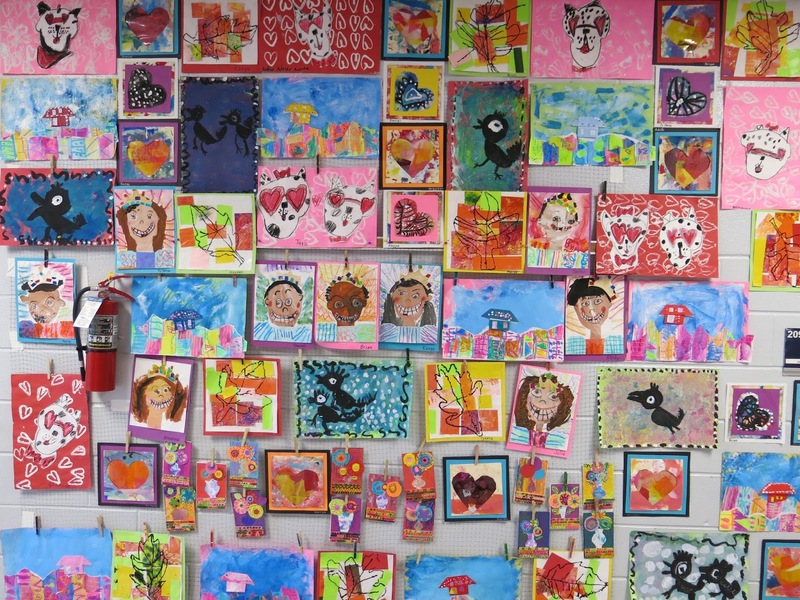 Seeing these fourth grade works of art makes me sad...I'm miss these artists! At the end of the school year, even though my kids have worked all year, I only have a handful of works of art from them. Why is that?! I have found this to definitely be the case with my third and fourth grade artists. The answer is easy: they do projects that are more detailed and time consuming! You are teaching them so many techniques in one project...it can take a while. 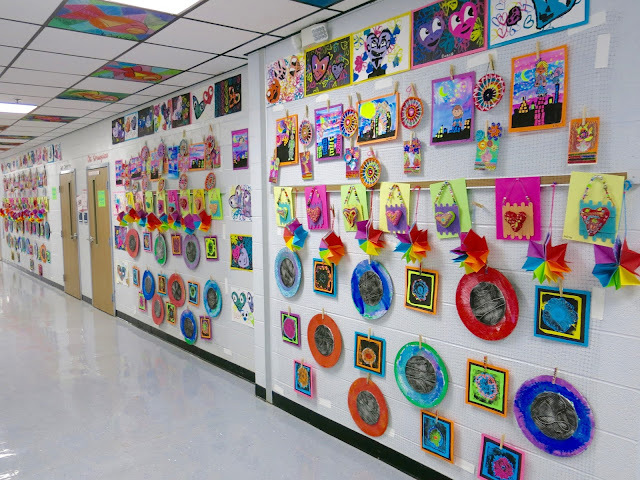 Also, my fourth graders had three 3-D pieces on display this year: sewn and stuffed monsters, plaster candy hearts and clay bobble heads. All of those took many weeks to complete leaving us with less time for 2-D works of art. It's okay! As long as your artists are creating and having fun, you are on the right track. 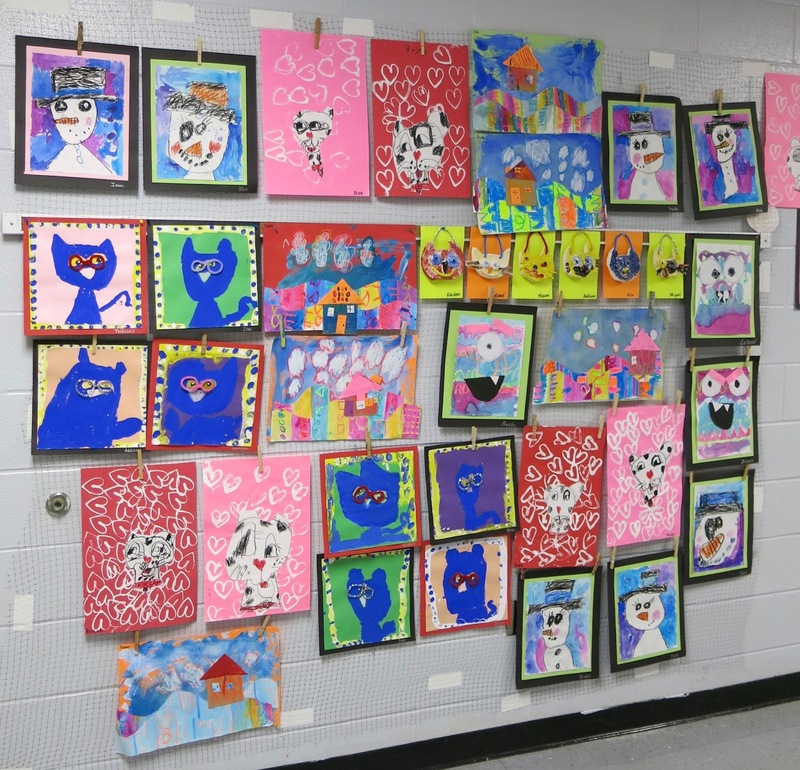 I hope you enjoyed the art show! Another one in the books. Love to hear about your art shows in the comments, y'all. I am an infamous plant serial killer. "Grow succulents!" they said. "You can't kill a cactus!" they told me. LIES, people, all LIES. Where there is a will, there is a way. And there ain't no way any plant will survive in Casa de Cassie...until now. Allow me to introduce you to my Felted Cactus Garden! These haven't been completely "planted" yet, hence the needle felting cushion showing underneath. I'm still trying to decide exactly where to place them. 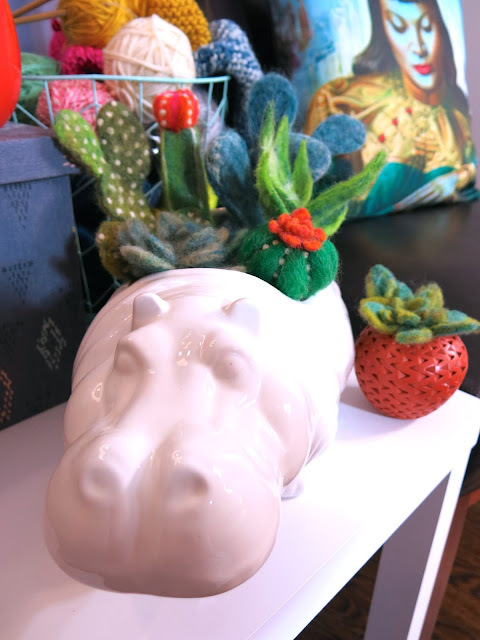 Right now, I'm totally diggin' the hippo planter I scored at an estate sale this weekend. 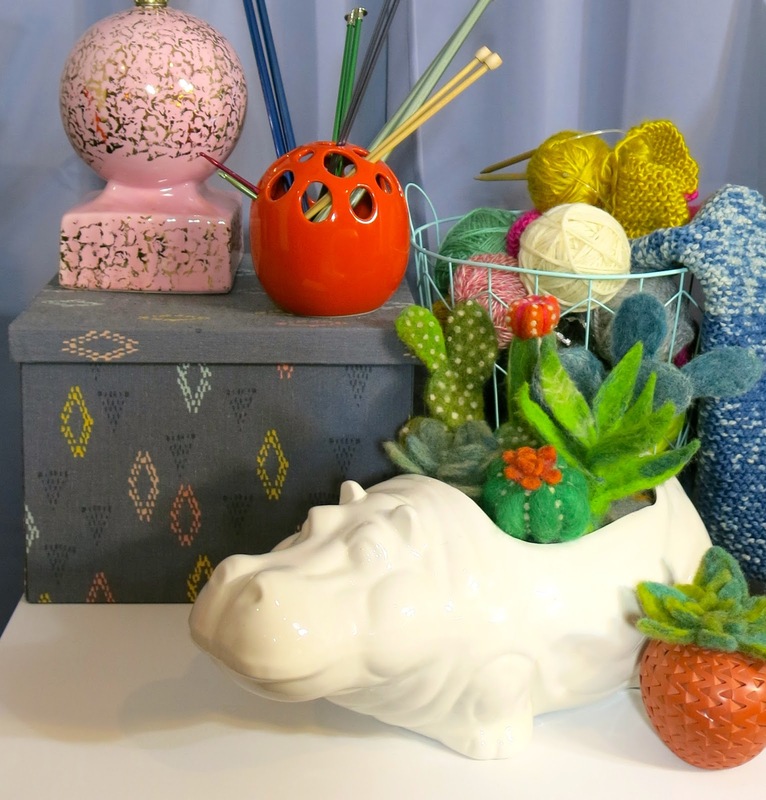 Here's the how-to video on creating your own needle felted succulents! It's a labor of love, not even gonna lie! I seriously could not stop making these. I only did the one, shown in the separate container, using the wet felting method. The rest were all created with a whole lotta stabbin'! I'm still trying to figure out where Harriet the Hippo is gonna live but for now, I'm kind of loving her in this nook in our bonus room. This is one of my favorite rooms in the house as I've completely decked it out with my most cherished of kitschy items. That lamp was another estate sale score and those pillows feature the artwork of Vladimir Tretchikoff, a fave of mine. A company called The Tretchikoff Project currently sells beautiful reproductions of his work on bags, jewelry, pillows and more. They were kind enough to send me these to review and, I have to say, I love them! The print quality is stunning and the images are so beautiful and rich. I'll be sharing more of their products super soon but for now, consider this a sneak peek. This hippo is diggin' it's cactus garden, I think. Can you blame her? So my decorating style, in case you cannot tell, is more is more is MORE MAGNIFICENT. I am a lady who loves her stuff...the kitschier, the better. I've always been a collector of things. As a kid it was Hot Wheels then books (Nancy Drew but only the blue vintage hardbacks...I was weird) and stuffed animals. So.Many.Stuffed.Animals. As an adult, I'm all over the place with my collections: Enid Collins bags, enamel flower pins, vintage clothing, bird wall pockets from the Czech Republic, old photos and paintings of women (they hang in my sewing room)...you name it. If it strikes my fancy, I need to have a dozen or more. 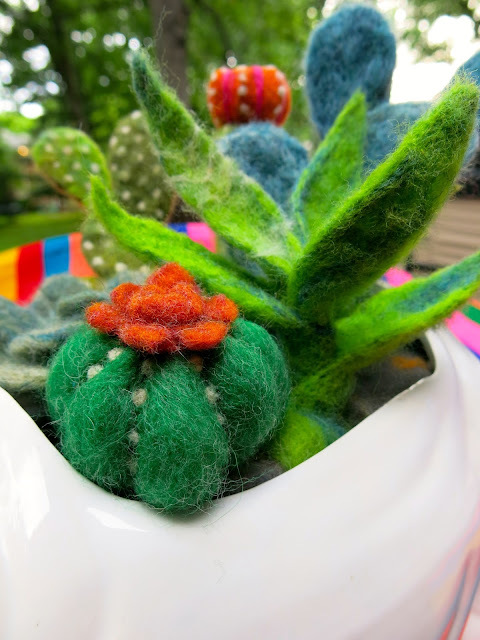 Now I can added felted cacti to the list of collections! Thankfully, they have a long life expectancy...even in my incapable hands. Y'all know I'm prone to felting...I just love to stab stuff! If you want to see more needle felting videos, be sure to subscribe here. 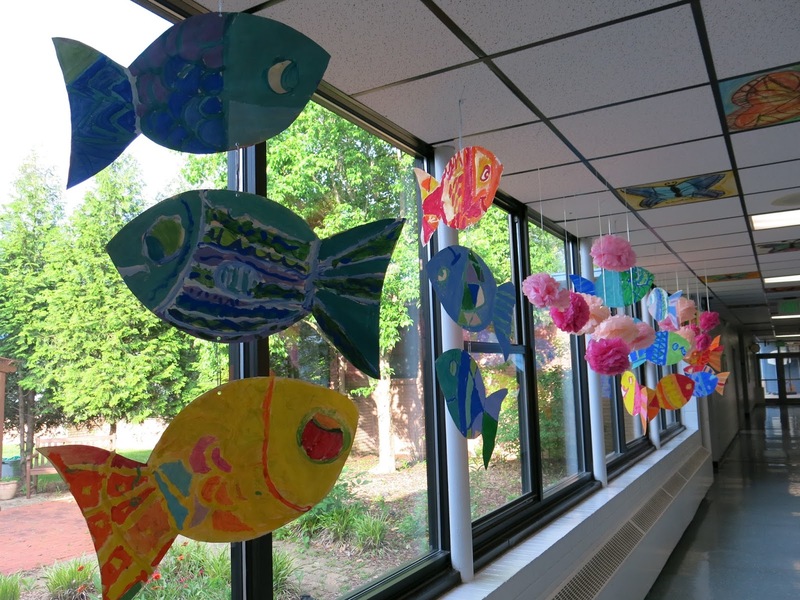 In the Art Room: First Grade Fish UPDATE! DIY: Intro to Fashion Felting! 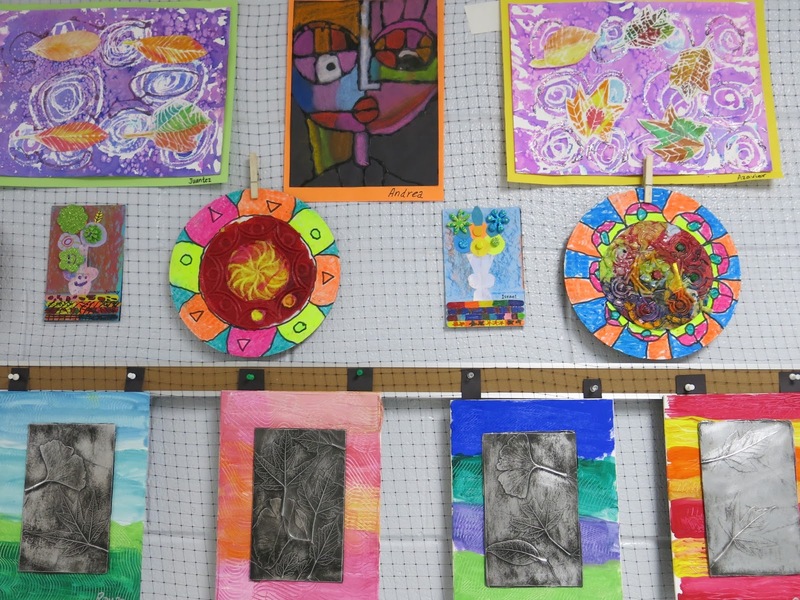 In the Art Room: Clay Texture Turtles!